Small and medium enterprises, also known as SMEs or SMBs, are businesses and organizations whose personnel numbers and profits fall below certain limits. For many SMEs, marketing and exposure can be one of the toughest battles when it comes to staying relevant in the business world. Most traditional marketing methods can be worth millions of dollars for larger corporations. Small and medium enterprises must find ways to compete with the best guerilla marketing without the same budget. 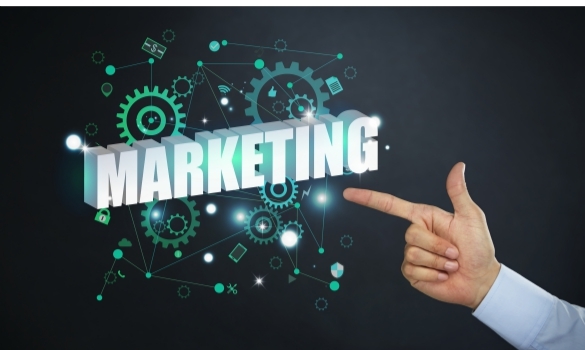 Thankfully, we have discovered the top free marketing tips for small and medium enterprises and they are all listed below. Social media is the ultimate answer to a limited marketing budget. Profiles on popular websites like Twitter and Facebook are free to make and use. If you can develop an effective content creation strategy, you can thrive on social media. With the right content, you could gain thousands of followers who want to hear more about what your business has to offer. Whether you post informative articles about your industry, how-to videos or funny memes, you can do it all at virtually no cost. Traditional outreach with mall kiosks is much more expensive for a similar outreach. Small and medium enterprises should focus on their social media marketing because it provides a free outlet to share and engage with customers on a one-on-one basis. Another key to marketing for small and medium businesses is to utilize social media influencers. For younger generations, traditional advertising is less and less impactful. Instead, millennials want to hear reviews from people that they trust. YouTube vloggers often dedicate entire videos to reviewing and unpackaging specific products. This could be the key to getting the word out about your business. Send PR packages to influencers with content relevant to your brand. Instruct them to implement brand differentiation tactics to increase positive results. Hopefully, they will help boost your marketing efforts by sharing their thoughts with an audience of millions. Business cards are not free; but handing them out is. Small business owners have a lot of interactions throughout their day-to-day lives. These are valuable networking and promotion opportunities to capitalize on. Make sure that you always have your business cards on your person. These business cards should include all your contact info, including the address for your email service for small business. That way, you can market your business no matter where you are. This is a simple marketing tip for those that own small and medium enterprises to capitalize on. Search engine optimization or “SEO” is another free way that you can improve your company’s visibility online. Tailoring your online content to specific searches or keywords can help people find your brand much faster than they usually would. By using consistent tags, your business’s website and social media profiles will rank much higher in consumer searches. This is definitely something to include when you redesign website pages for your business. Utilize someone with SEO expertise to craft the perfect content for your marketing needs. While it is nice to draw in new customers, you must not forget about the ones you already have. Loyalty programs can be a great way to encourage more consistent purchases from consumers. Also, it will lead to more referrals by word of mouth, especially if you have a recruit a friend program in place. Simple offers and point perks can be the key to keeping your current customers interested. Another important free marketing tip is to improve your business’s overall branding. Many large corporations rose to the top because they were able to become household names. Small and medium enterprises should strive to do the same. Focus on building your brand identity. When you have an eye-catching logo or a clear purpose, customers will surely take notice. Lastly, send customer satisfaction surveys to your audience. Many business owners neglect to realize the benefits of marketing to existing customers. While it is beneficial to attract new ones, maintaining a long list of recurring customers builds a positive reputation. Furthermore, it guarantees continuous sales. Reach out to customers who purchase your products regularly as well as those who have not returned. Send them a survey via email to refrain from spending finances on shipping. Include popular marketing survey questions to acquire useful information for future campaigns. Small and medium enterprises can receive results quickly through email and increase sales without spending a dime. Small and medium enterprises face a lot of challenges when it comes to marketing. When up against larger businesses, it requires some serious capital budgeting and strategic marketing to succeed. Of course, better branding, social media and loyalty programs are all simple ways that you can get noticed by consumers. By following these free marketing tips, you can improve your marketing at no cost.